Philadelphia is the birthplace of the United States. It is also home to powerful community with a deep history of organizations and leaders who fight for justice and make Philly a place where everyone can thrive. In the face of whatever adversity the Trump administration brings in 2017, we must rise on our blocks, in our neighborhoods and in our city, and build alternatives together. 1. Get out in the streets with family, friends, neighbors and fellow citizens. Remember Dr. King’s legacy with the Reclaim MLK March on Martin Luther King, Jr. Day, join the thousands of women marching across the country to speak out against president-elect Trump following his inauguration, stand up to protect health care access, or take the young people in your life to the Philly Kids Solidarity Rally. Join young people, their families and friends to rally and march for our future! Several groups around Philly are also holding trainings so we can be prepared to stand up to Trump from day 1. Join movement leaders from Philly REAL Justice, the Black and Brown Workers’ Collective, and Philly War Tax Resistance for this workshop on resistance tactics that work. Join Training for Change at one of their many workshops in the coming months on topics including creative workshop design and whites confronting racism. The Trump administration poses a dramatic threat to schools and classrooms that already struggle in a system that undervalues teachers and underestimates the importance of schools as vital spaces of community, growth and education for young people and their families. Help make schools positive places where young people and their families can be safe, celebrate themselves and each other, and learn about who they are. 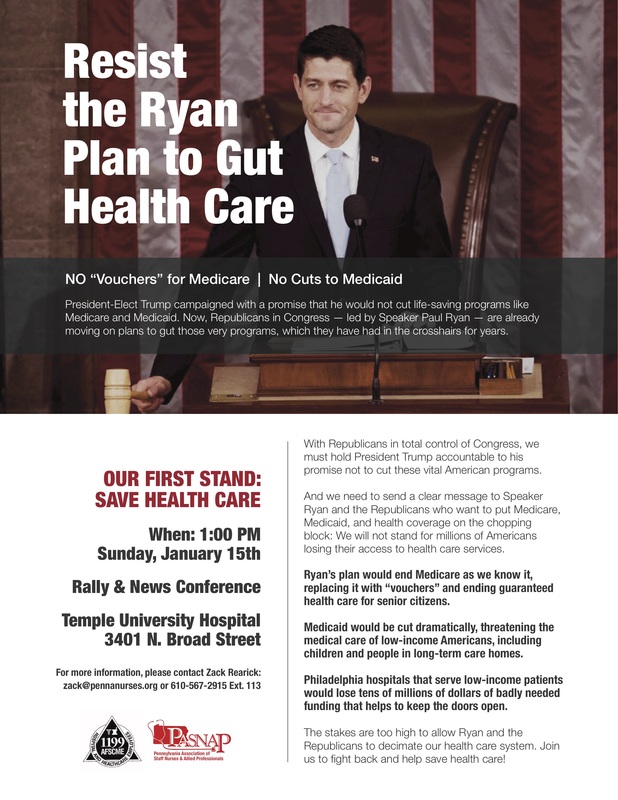 Join Temple students as they join the national student strike rejecting the bigotry and hate brought on by the Trump administration. Join the Philly Black History Collective in fundraising for Philly’s first Black History Conference on Feb. 11. Get tickets here. Join the Caucus of Working Educators in spending a week engaging in dialogue and community events about integrating the Black Lives Matter 13 guiding principles into our schools and classrooms. The Trump campaign heightened xenophobia in the United States to record levels, and has promised his administration will deport millions. But targeted immigration enforcement and racial profiling is nothing new in the United States, and longtime Philly organizations that work to keep families and communities together are rising up to protect people under the Trump administration. Come together with the New Sanctuary Movement for the People’s Inauguration, or volunteer for their Sanctuary in the Streets program, which responds to immigration raids in real time. Pressure our politicians to protect undocumented community members and ask local business owners to explicitly denounce racial profiling. Join the New Sanctuary Movement in taking a collective oath at the Liberty Bell to defend all members of our communities. Sign to show your support for making Philly schools safe for undocumented students. Join the New Sanctuary Movement in building a team of 1,000 volunteers across Philadelphia to disrupt immigration raids. Find out more information here. Join Jewish Voice for Peace Philly to train and distribute signs around the city that say “Stop Profiling Muslims” and show public support for the Muslim members of our community. Trump can’t get anything done if other people in government don’t let him. American democracy is set up with checks and balances, so put pressure on state and local politicians to check the president’s power, or learn how to run for local office yourself! Petition to Gov. Wolf: Veto Threats to Sanctuary Campuses, Ensure Safety for All! Resistance isn’t only accomplished through marches and petitions — art is a critical part of movement building. Join writers, dancers, painters, performers, and more in resisting through creativity. Join JVP and Lela Aisha Jones of Dancing For Justice Philly for a movement class and discussion responding to the current state of the world. Join writers resisting all across the United States. Join Spiral Q making art to support various protests and actions across the city.